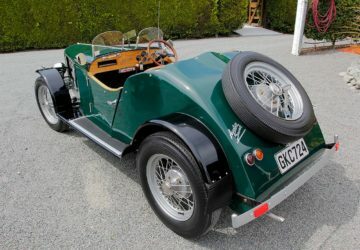 Fans of New Zealand history, NZ Classic Cars, Australian plus American Classic Cars, and memorabilia are in for a treat with John Stewart’s stunning private collection available for group viewings. See for yourself what a lifetime of passion for cars, and a total commitment to perfection, can produce. Stewart’s Wairakei Road property also boasts an impressive garden and wedding venue. Stewart’s superb collection of collectable cars. 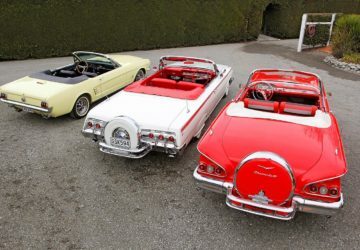 John Stewart’s collection features American classics dating from the 1940s to ‘retro’ modern classics like the 1973 Ford Fairmont. His 1958 Chevrolet Impala Convertible is so rare that John gets regular calls from people in the US eager to buy it. He believes it’s the only one of its kind in the country. 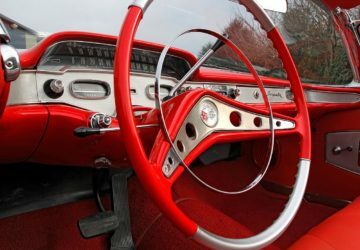 The glittered steering wheel on his 1961 Dodge Pioneer is a personal favourite of John’s and a must-see. 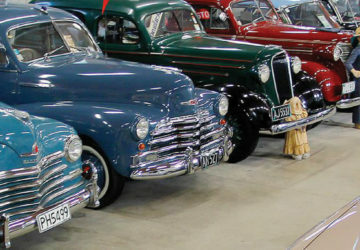 The collection contains cars that have played a role in New Zealand’s history such as a beautifully-restored 1947 black Chrysler, which formed part of the New Zealand Government fleet at the time. There’s also a sign-written Holden Kingswood from the 1974 Commonwealth Games, which were held in Christchurch. 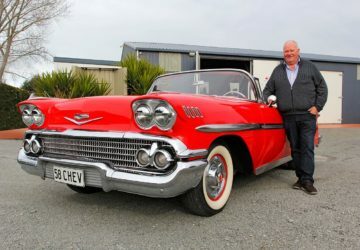 “I’ve always collected cars and I want to see some of New Zealand’s car history kept, as well as showcasing some amazing American cars,” says John Stewart. 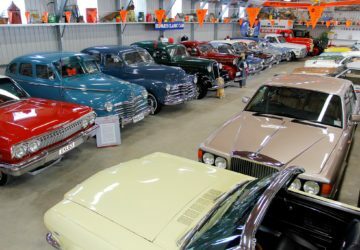 Stewarts Classic Cars are displayed among thousands of items of memorabilia including vintage children’s toys, bikes, trikes and pedal cars, and a plethora of other Kiwiana and transport-related items. The dream of one man. His goal, his determination, his results. John has been collecting cars since he was 15-years-old. He has dedicated his life to his collection. 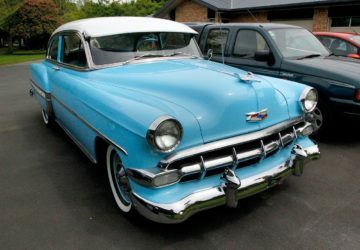 John still has his first car bought at the age of 15, which is a 1948 Ford V8 sedan in original condition. 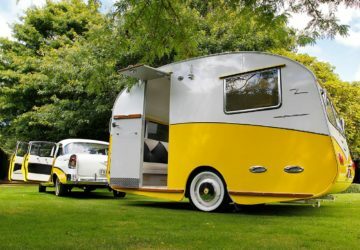 John Stewart has spent a lifetime chasing down and restoring a stunning array of classic cars. 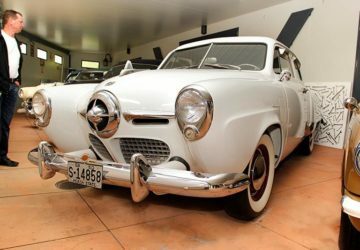 A 1948 Ford Mercury he first bought at age 19 is among his prized possessions, along with a 1962 Chevrolet hardtop which is similar to his family car growing up. Although many classic car collectors buy cars and use them to trade up, John prefers to hold on to them. He has been known to wait years for the right car to come up for sale. He says people ask how he has managed to afford it. John Stewart’s attention to detail is one of his trademarks. Cars are available for sale, with owner by negotiation.